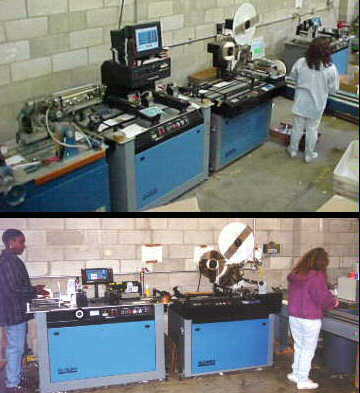 We have plenty of storage available for large mailings. Our warehouse is well organized so we can quickly provide accurate inventories. 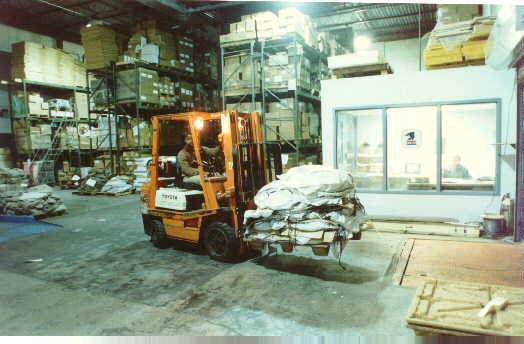 Also pictured is our on-site postal facility. 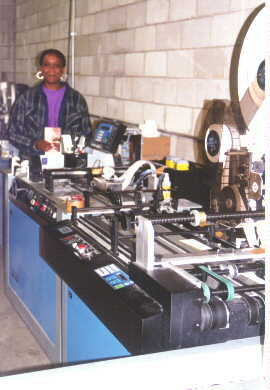 We offer high-quality, high-speed ink-jet printing and labeling. 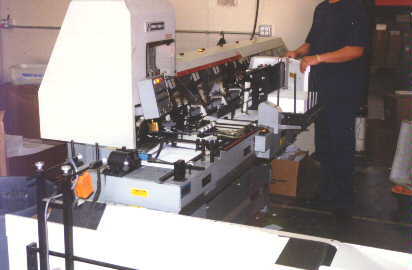 We have four ink-jet machines with in-line tabbing capabilities. 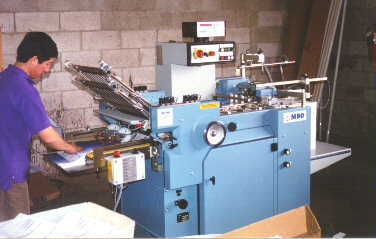 With 8 inserters (including 9x12) we have the capacity to insert and mail half a million pieces per day. 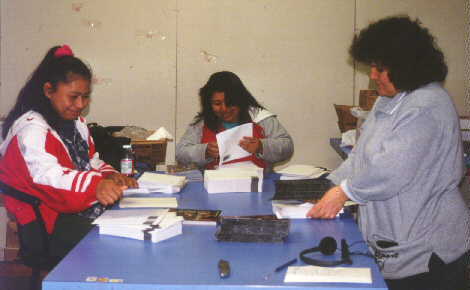 Greater Data & Mailing has a fully staffed fulfillment and hand assembly department. Here is our newest of three folders. We offer folding, perfing, bursting and gatefolding.